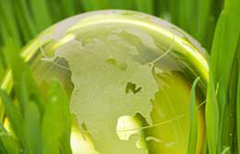 Richardson Electronics is committed to operating in an environmentally responsible manner. We continually evaluate our customers’ needs, our legal responsibilities, as well as our role as a corporate citizen in decreasing the pollution and waste our organization produces. As a leading global supplier of Engineered Solutions, we are implementing a formal environmental management system for our worldwide facilities to minimize any negative effects our operations have on our environment. Richardson Electronics, Ltd. is committed to operating as a responsible corporate citizen by making sound environmental management decisions. Employees are encouraged to actively participate by identifying opportunities to reduce the environmental impact of the business. RELL focuses on continual improvement of its policy by setting and reviewing appropriate targets. RELL is committed to complying with applicable legal obligations which safeguard the environment and to put programs in place that ensure objectives are achieved.